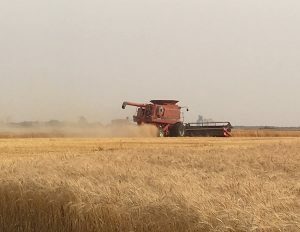 Producers who are not currently registered for the Harvest Sample Program but who would like to take part in 2018 have until November 30 to register online. There is no charge to enroll, and registered participants have until December 31, 2018 to submit samples taken from their crops. 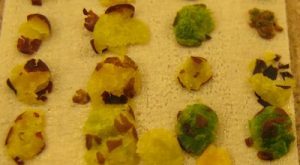 Canola Watch prefers to base its information on scientific research, but we don’t have a lot of information on these 2018 experiences: drying and storing very high-moisture crop, handling high-green canola. This survey is designed to collect on-farm experiences that we can share with readers. Agronomists and retails can provide answers based on their clients’ experiences. We will not use any names. This is your last chance to register for Canola Discovery Forum, October 22-23 in Banff. An agenda highlight will be the panel discussion titled: Innovation in agronomy tools in a changing regulatory landscape. High green. Will it clear? Getting crop in the bin is a bigger issue than residue management right now. 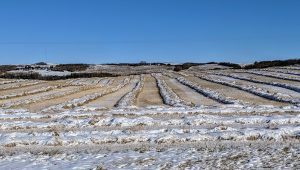 Residue will be a factor in harvest because standing canola downed by snow will have to be combined close to the ground. That means more residue to churn through the combine and less residue to hold snow. Tough residue won’t chop and spread that well either. But that’s just the way it is. Deal with residue later. When moisture or green counts are higher, farmers may want to take samples to a few delivery points. 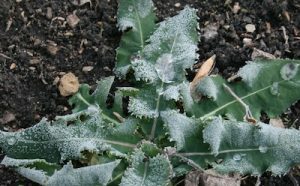 Canola Discovery Forum 2018, October 22-23 in Banff, will focus on the major issues that help or hurt canola emergence and seedling survival. 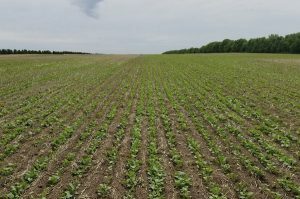 You will leave the two-day agronomy seminar with a better understanding of best practices that improve the return on investment for canola seed and overall profitability of the crop.